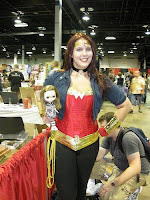 Fellowship Reviews: For What It’s Worth: Wonder Woman’s Costume Change – A Look Back. 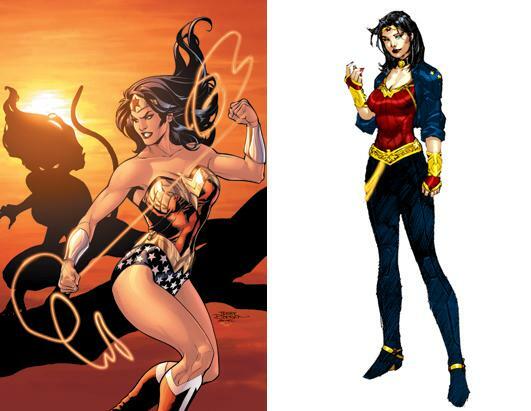 For What It’s Worth: Wonder Woman’s Costume Change – A Look Back. 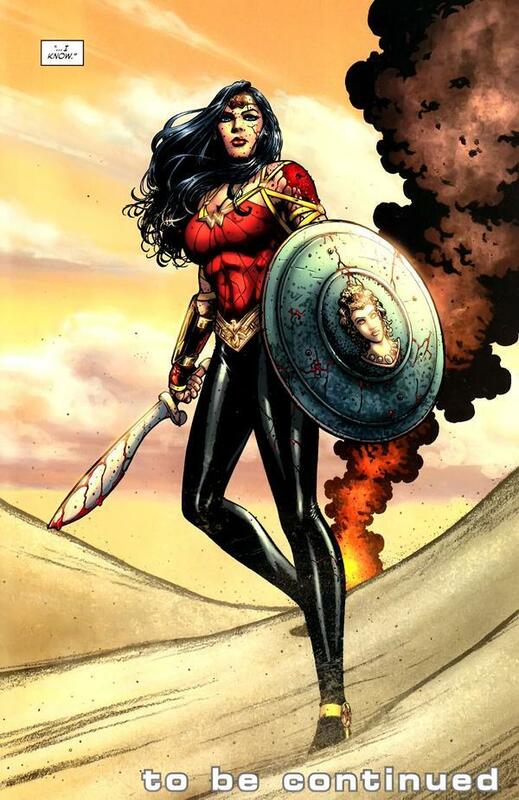 It’s been eight months since Wonder Woman appeared in her new look, and I thought now is the time to look back and really look at it. You recall the uproar that came when it appeared, but is it really the costume or the change itself? Now we know that most costume changes a temporary, usually to shake things up either for story purposes or (most likely) to increase sales. Which one was this? Well, the change happened as J. Michael Straczynski took over the book and went a new direction, and sales did increase – so probably both. However, the outcry is gone now. 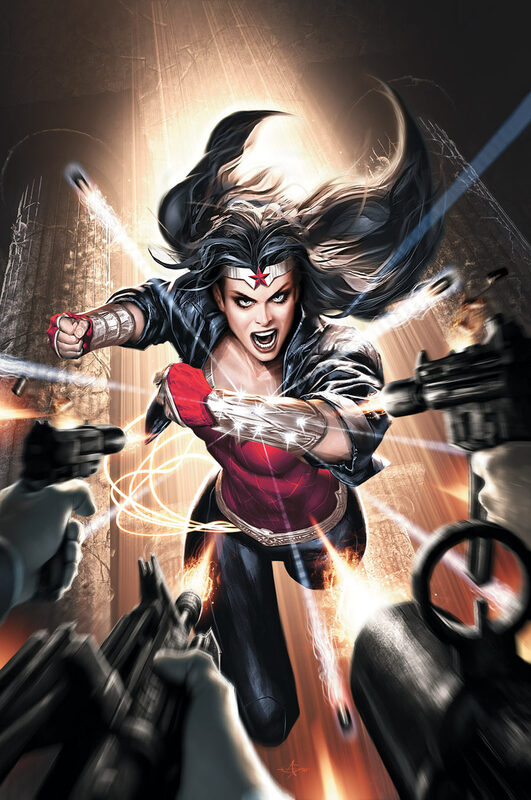 It has moved over to complain about the upcoming Wonder Woman TV and that David E. Kelly is destroying the character. Let’s look at the costume again…is it really that horrible? No, I don’t think so, but there are things I would change….let’s go from head to toe. The Tiara – not a major difference, agree? The Choker – not sure why this was added, and I don’t care for it. The Jacket – I’m not a fan of the jacket. It’s funny, in researching images for this editorial, most images have her out of the jacket, so I guess the pencillers don’t care for it as well. The Halter Top – the eagle is gone and the WW is shrunk, but it’s not a big deal. I don’t care for the golden straps around the elbows. The Gauntlets – it’s funny that the bracelets change size a lot. The most recent images have the bracelets as big as these gauntlets. Again, I don’t have a problem with them. The Belt – once again, not a major change. The Pants – here seems to be the problem and I don’t know why. To me, it’s not a big deal that you don’t see her legs. Do YOU want to run around in hot pants or a skirt all the time? The Shoes/Boots – I wouldn’t have mind that they had kept the red boots to add a little color, but I’m not really complaining. 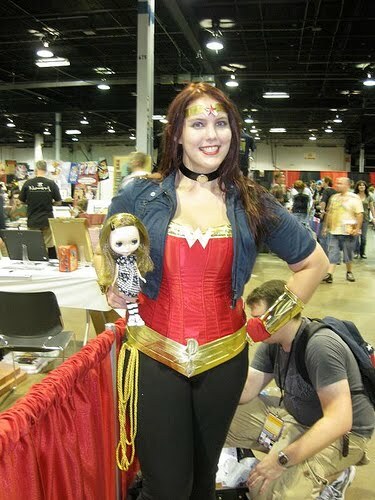 Overall, this is a moot point, Diana will be wearing this outfit for now. There were some rumblings that the outfit was changed to help the possibilities of a movie. Now we have a TV in the works, coincidence? Yes. It just worked out that way. And to those who said that fans won’t embrace the change…take a look below. Someone did.